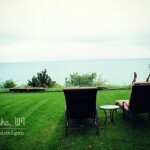 The round up of a very epic weekend in Kenosha at a gorgeous lakeside property on the shores of Lake Michigan. This would be our 4th EVE event and this time it is to meet up with all the American gamers – none of the Canadians made it, which is unfortunate. But we still had an awesome weekend and I would do it all over again if I could.